VOLLRATH - Setting the Standard! 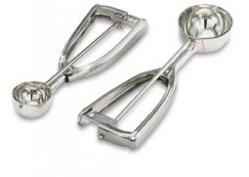 This scoop measures 1 1/2" diameter and features a 5/8 oz capacity. It is size 50.